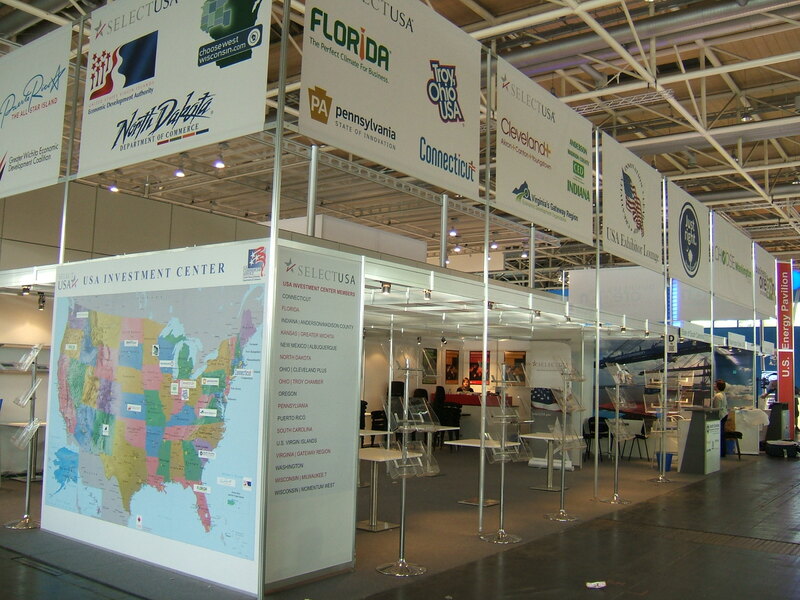 USA Investment Center at Hannover Messe, April 2014. The exciting news last week that Volkswagen will create 2,000 jobs in Chattanooga, Tennessee was just the latest indication that the United States auto sector is recovering, expanding, and drawing the attention of investors worldwide. Economic development organizations (EDOs) can capitalize on this limelight, and boost growth in their regions’ auto industry clusters, by joining the USA Investment Center at two trade shows in Germany this fall – Automechanika and the International Automobile Exhibition (Internationale Automobil-Ausstellung – known as the IAA). Exhibitors at Automechanika (September 16-20 in Frankfurt) represent a wide range of companies in this sector, from parts and components to accessories and electronics. Truly an international showcase, over 80 percent of exhibitors in 2012 were from outside Germany. Meanwhile, the IAA (September 25 – October 2 in Hannover), which can trace its origins back over 100 years, will focus this year on everything in the supply chain related to commercial vehicles. This is a great time for U.S. EDOs to consider whether the automotive sector offers an opportunity to attract foreign direct investment (FDI). During the period 2008-2012, FDI in the U.S. auto industry grew at the average rate of over 9 percent per year. These trade shows will enable EDOs to meet directly with interested investors. On top of the appealing factors across the board for all industries – such as lower energy costs, strong intellectual property rights, and high productivity – the United States is increasingly recognized as a solid production base for automakers and their suppliers from around the world. One reason is the rapidly rising consumer demand for vehicles: in June 2014, U.S. consumers purchased new cars and trucks at the fastest pace in eight years. In 2011, U.S. subsidiaries of foreign-owned motor vehicles, bodies and trailers, and parts firms account for nearly 40 percent of total U.S. employment in this sector. The 2012 FDI stock in motor vehicles and motor vehicle parts accounted for almost 3 percent of total industry FDI in the United States and around 8 percent of manufacturing FDI in the United States. Read more about the support provided to economic development organizations that join the USA Investment Center at these two premier events, and contact Amy Zecha at SelectUSA or Ed Fantasia at the Commercial Service in Munich for further information on how to register to participate.